Join us for a special World Environmental Health Day celebration with The University of Queensland on Wednesday 26 September. We’ll be hosting a public seminar on current research by the Queensland Alliance for Environmental Health Sciences. This will provide a rare professional development and networking opportunity, followed by drinks and canapés in South Brisbane. Following the seminar please join us to celebrate the launch of UQ’s new suite of Environmental Health Sciences postgraduate programs. These new programs will provide postgraduate education for graduates aiming to develop a career in regulatory science. Free event but registration requested. 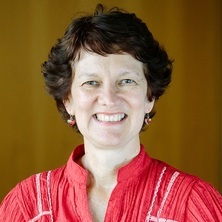 Associate Professor Kelly Fielding, Vice Chancellor’s Research & Teaching Fellow, UQ School of Communications and Art. 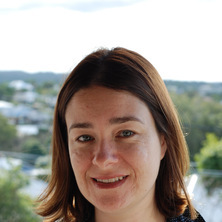 A/Prof Fielding specializes in understanding the social and psychological determinants of environmental sustainability. A key research focus involves sustainable urban water management, relating to community engagement. Another key research area is understanding climate change beliefs and identifying ways to address skepticism and inaction. Dr Morphett specialises in environmental health communication, and is currently investigating public risk perceptions of environmental contamination with (PFAS) from fire-fighting foams. Her current research also focuses on health communication related to tobacco and nicotine products. The seminar will be live streamed to those not able to attend in person. We look forward to meeting you for an afternoon of professional development, networking and partnership opportunities in this dynamic field.